Drain engine oil. Refer to “engine oil and filter replacement” in section 0b . Disconnect the ckp sensor coupler (1). 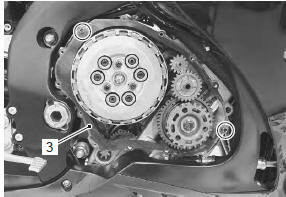 Remove the clutch cover (2). Remove the gasket (3) and dowel pins. 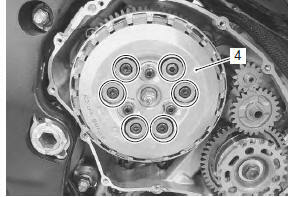 Remove the clutch springs and pressure plate (4). 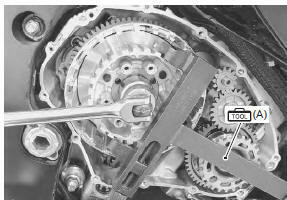 loosen the clutch spring set bolts little by little and diagonally. 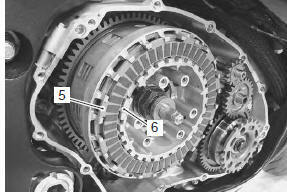 Remove the clutch drive plates (5) and driven plates (6). 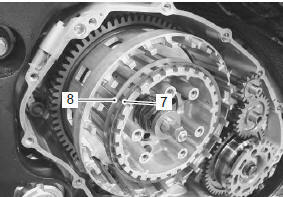 Remove the spring washer (7) and its seat (8). 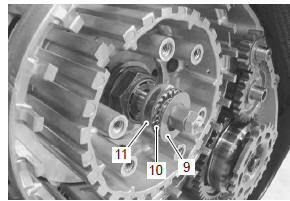 Remove the thrust washer (9), bearing (10) and clutch push piece (11). Remove the clutch push rod (12). if it is difficult to pull out the push rod (12), use a magnetic hand or wire. Unlock the clutch sleeve hub nut. Hold the clutch sleeve hub with the special tool. Remove the clutch sleeve hub nut. 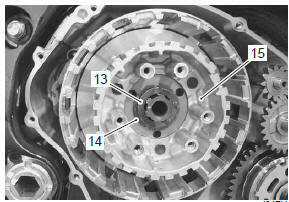 Remove the spring washer (13), washer (14) and clutch sleeve hub (15). 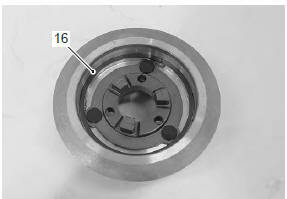 Remove the seat washer (16) from the clutch sleeve hub. 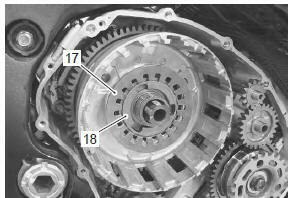 Remove the wave spring washers (17) and clutch lifter driven cam (18). 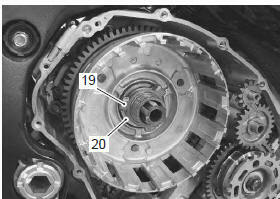 Remove the clutch lifter drive cam (19) and thrust washer (20). 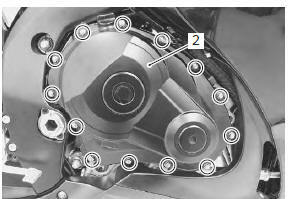 Remove the spacer (21) and bearing (22). 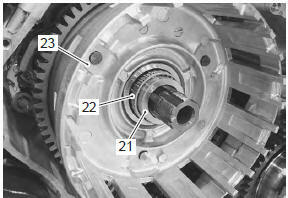 Remove the primary driven gear assembly (23). 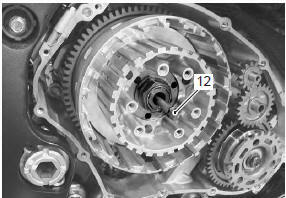 if it is difficult to remove the primary driven gear, rotate the crankshaft.